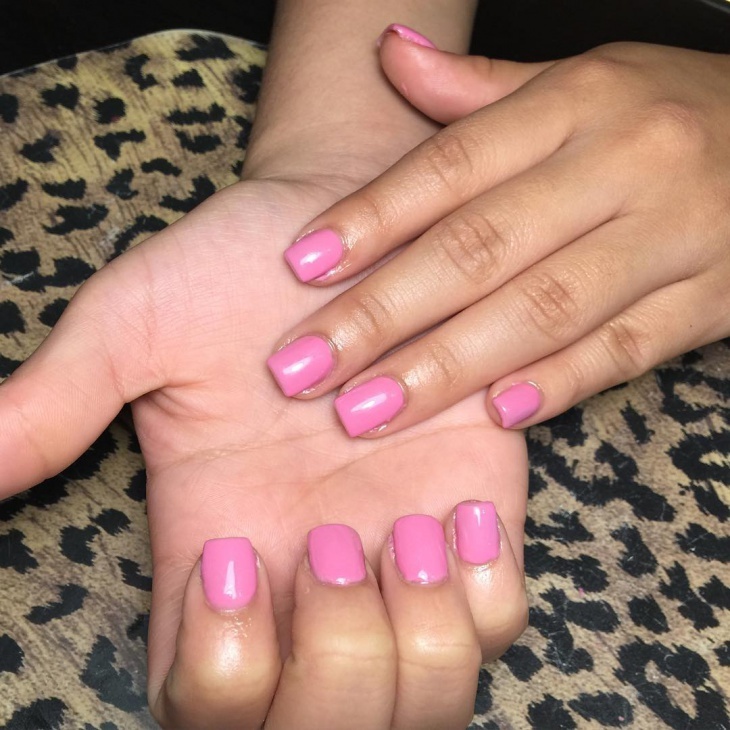 Short nails are practical especially to ladies in school or those working in a fast paced environment where you get to use your hands frequently. They are low maintenance, and you can decorate them with a design that will flatter your hands and outfit. 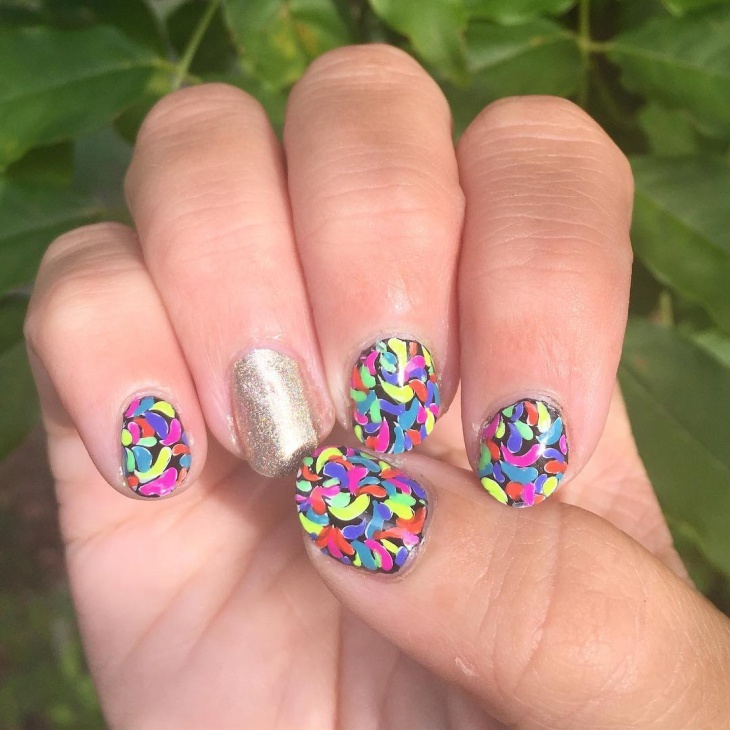 If you need ideas on how to decorate your short nails, then we got you covered. In this list, we have 60 classy designs that you can try for any occasion. 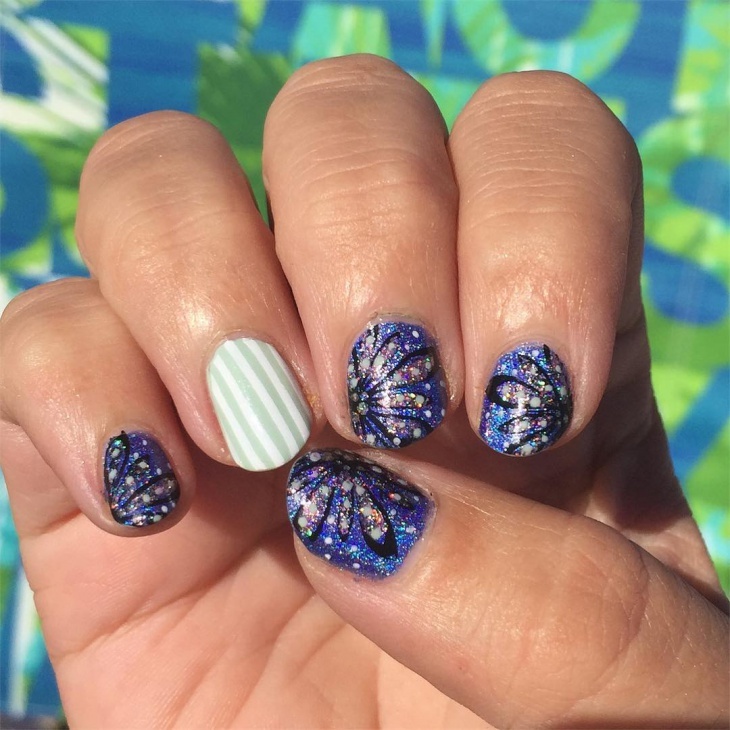 Short acrylic nail designs are ideal for busy moms, work or business settings. 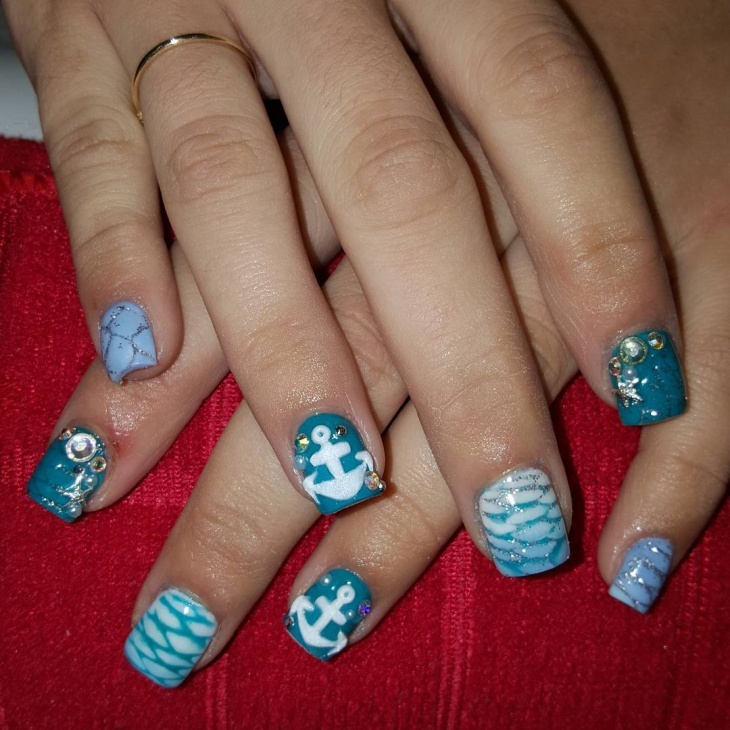 These nails are available in trendy and attractive designs so you will surely find one that you love. 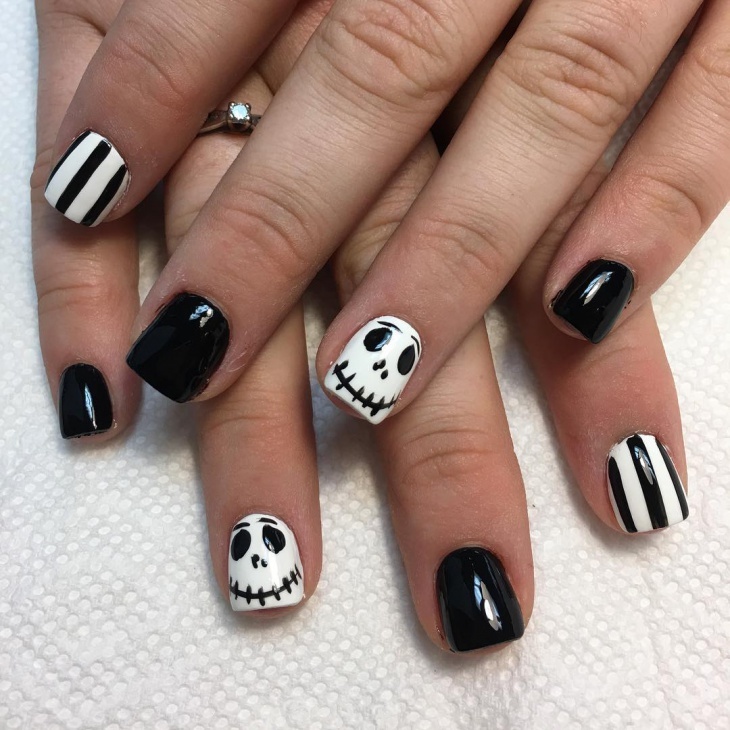 From simple black and white nail art to those with floral themes, with short acrylic nails, you will look classy and charming. 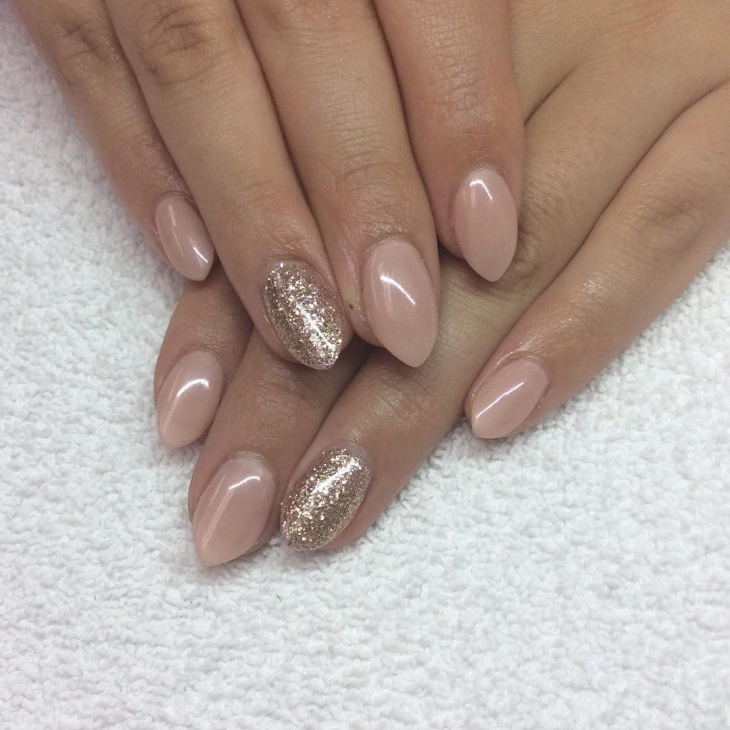 If you are daring and still want low maintenance nails, then go for short stiletto nail designs. 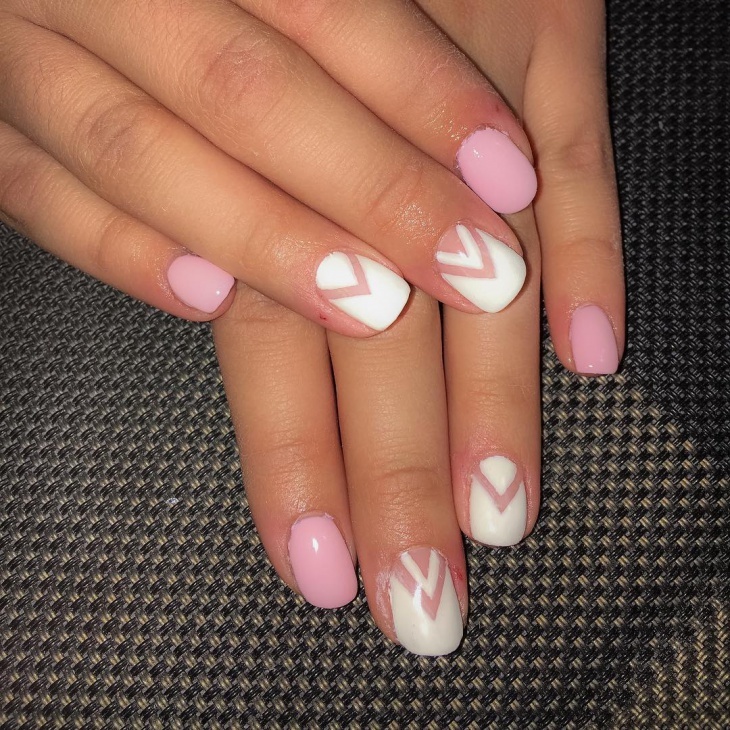 These sharp-pointed nails are a favorite among many celebrities and the trend continues to inspire other women. 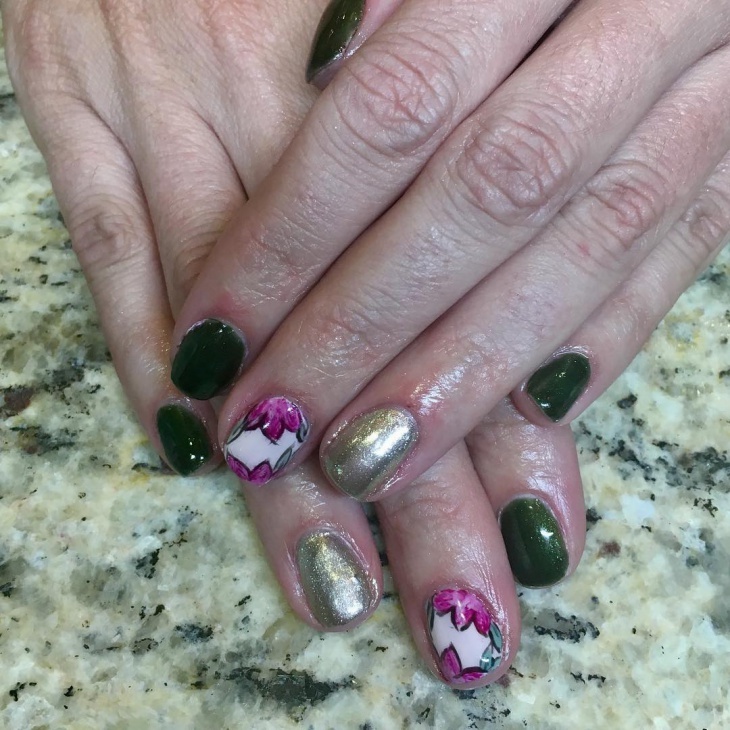 Splatter, matte black, abstract, mint, metallic and pink French tips are some of the cute themes you can add to your stiletto nails. 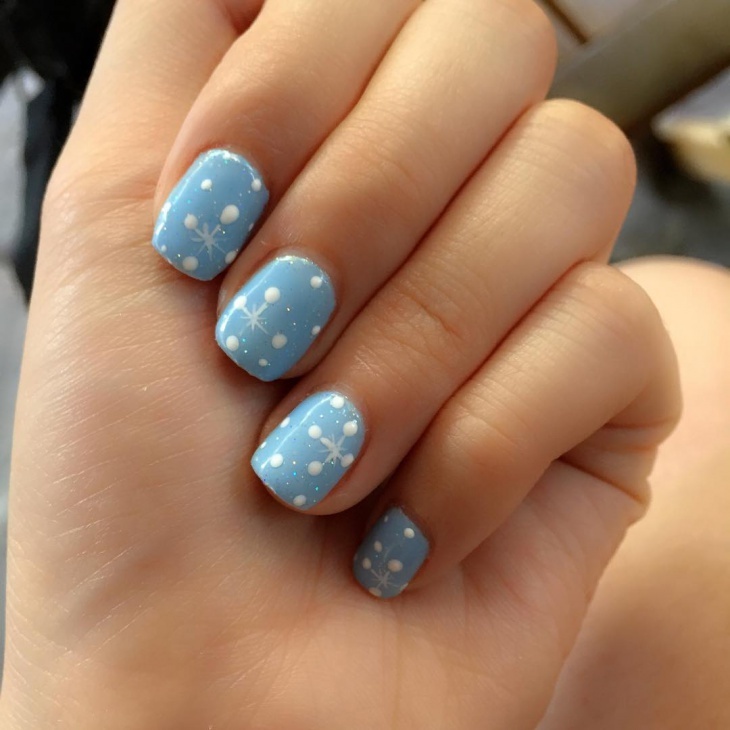 Hello Kitty, lace, polka dots, heart-shaped, stripped, animal nail art and French manicure are some of the popular themes you can opt for in short gel nail designs. For 3D rhinestones add those in small sizes. Go for short gel nails that look natural and attractive on your fingers. 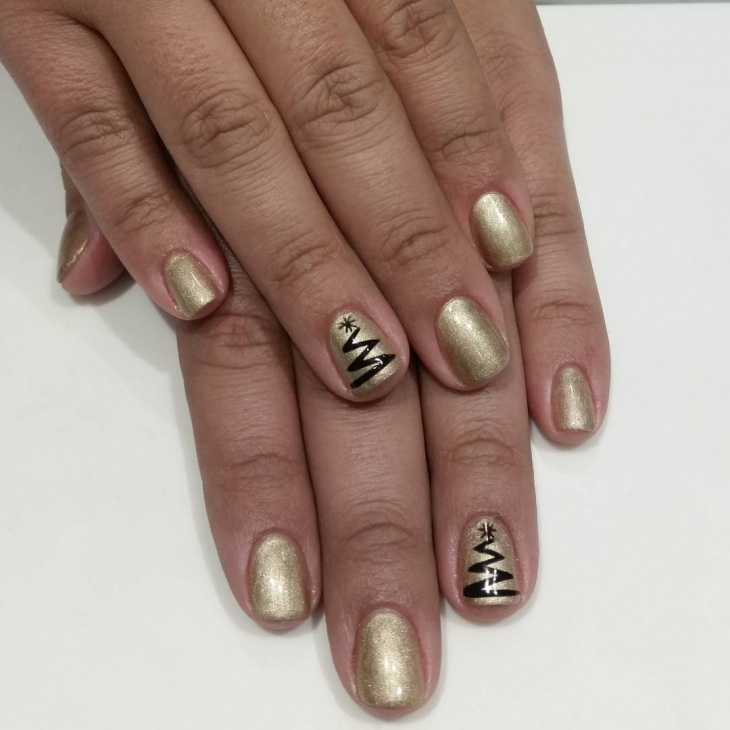 Short nail designs look good and complement any season. 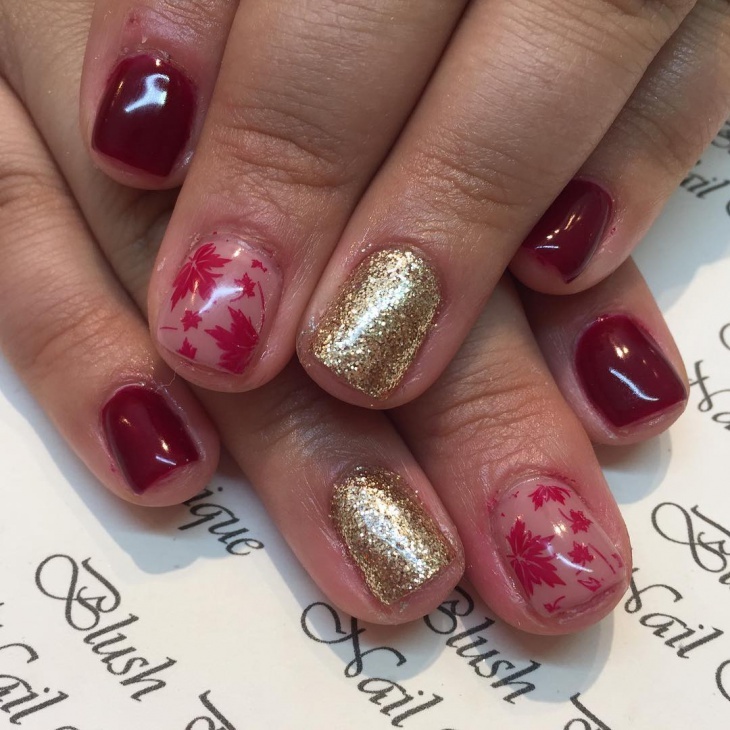 Short nail designs for fall tend to incorporate colorful leaves which can either be on a yellow, dark red, black or white background. 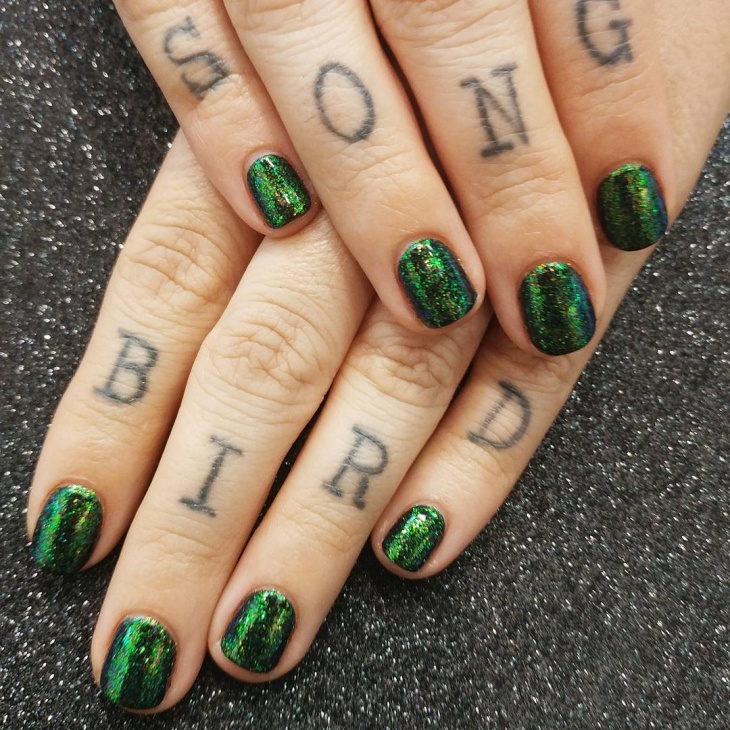 Whether your leaf design is green, yellow or in a black pattern, ensure you choose a color that complements the nail polish on the background. 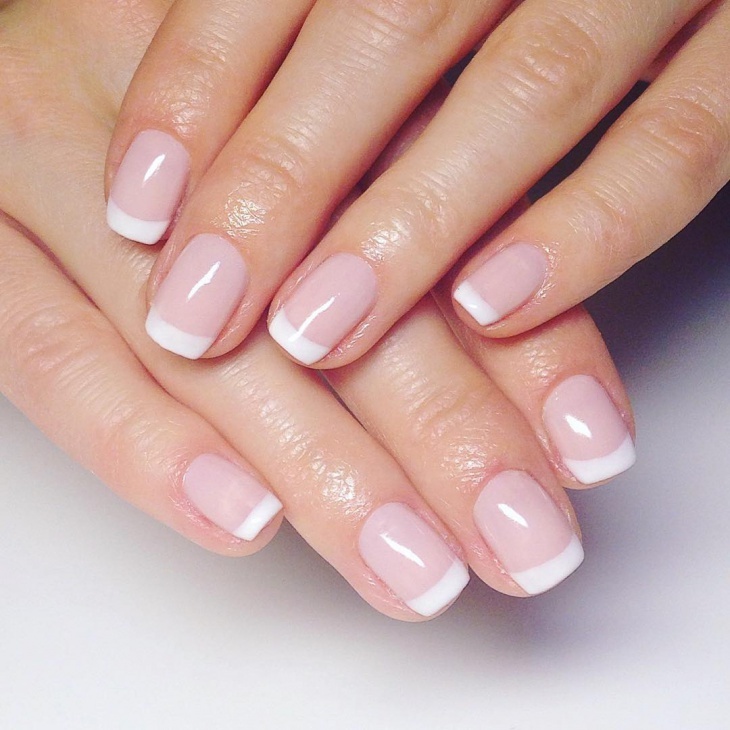 Simple and elegant, French manicure looks good even on short nails. Instead of the standard white tips opt for silver, glitters or black French tip design to make your manicure stand out. 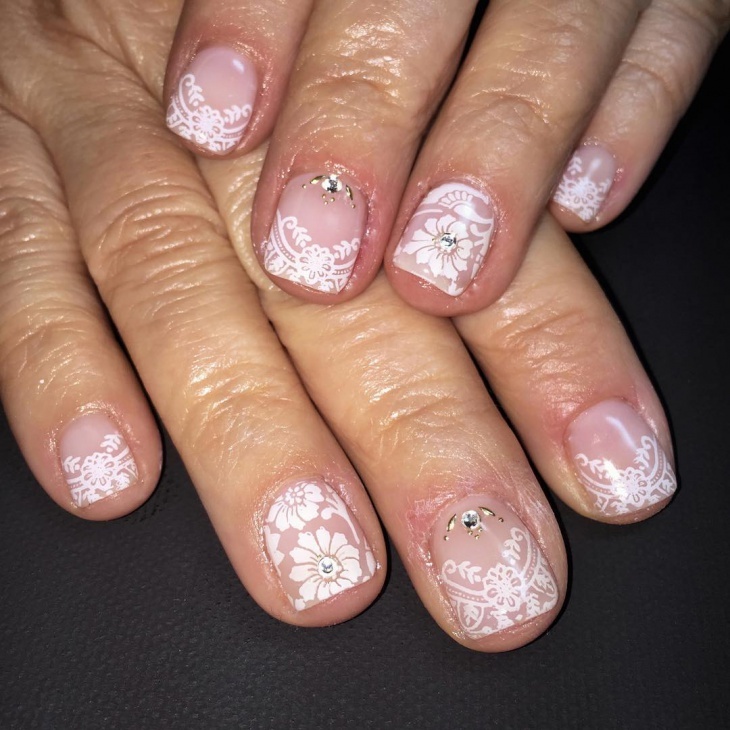 If you prefer the classic French manicure, then add floral patterns on a few nails. 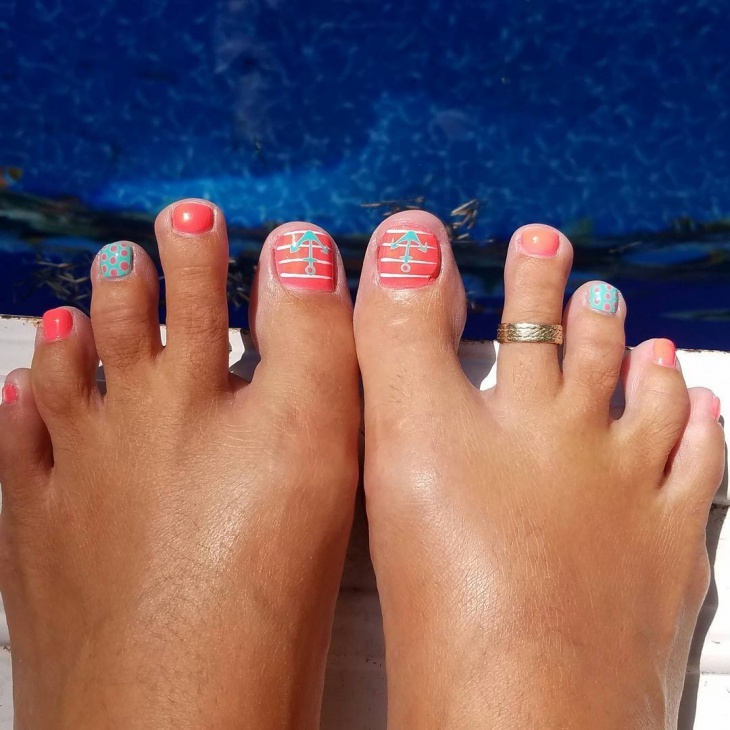 A combination of silver stripes with neon colors will give your short nails the fun designs that will make them attractive. 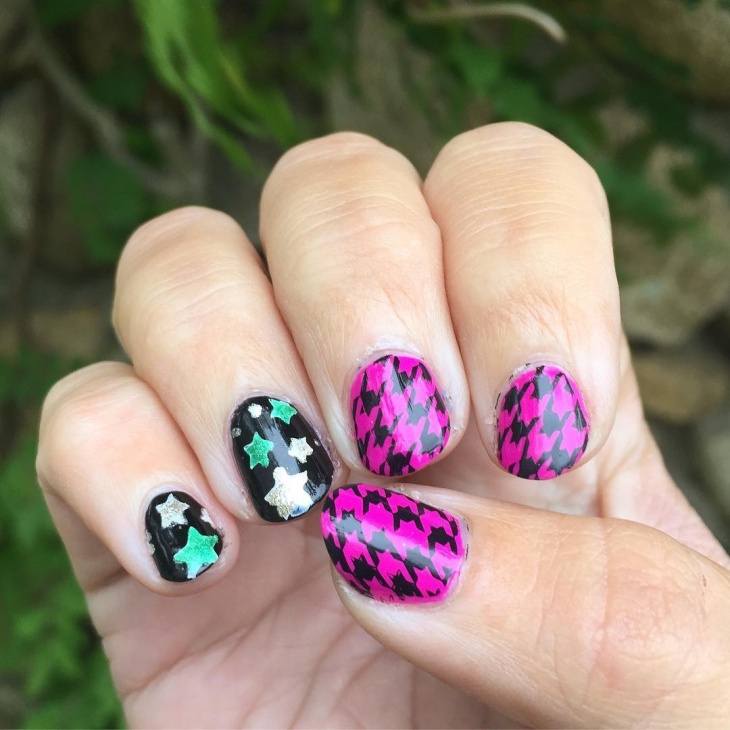 Fun nail art can involve drawing simple cartoon characters or different geometric shapes. 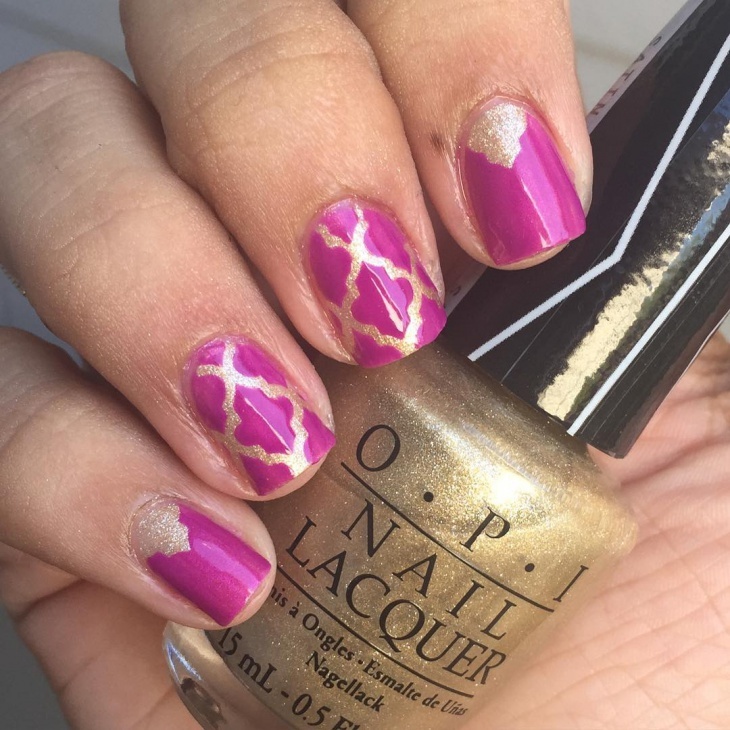 These nail designs are easy to do, will bring out your creativity and you will have fun doing them. 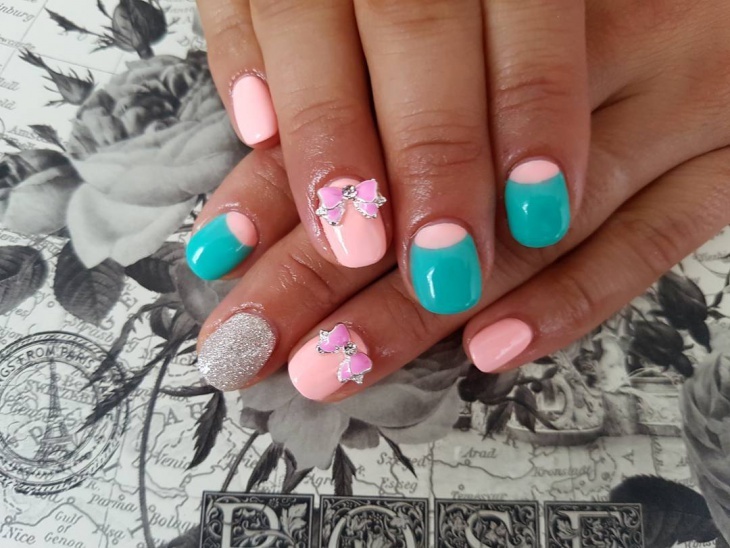 If you need to look cute and feminine, then go for pink short nail designs. 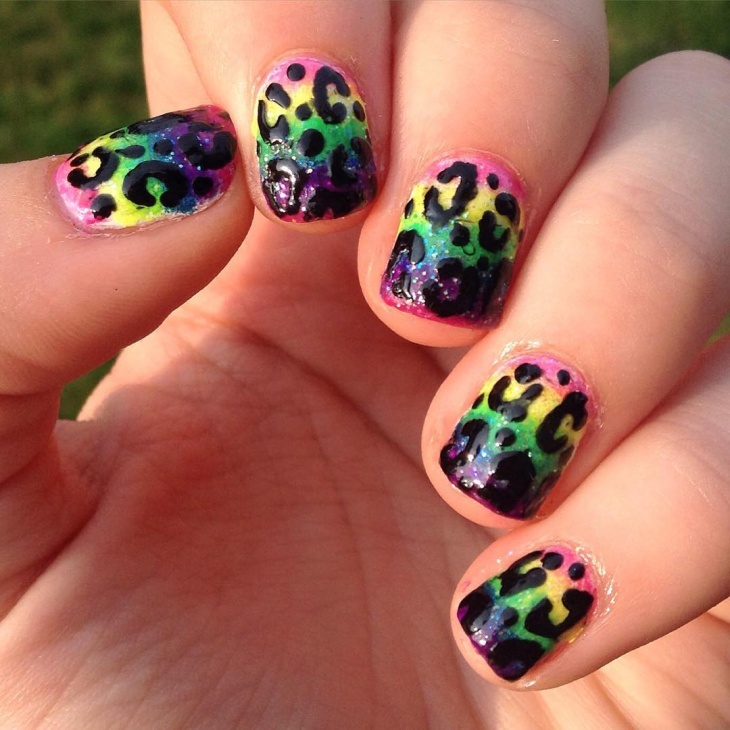 You can create different designs using pink nail polish just ensure it’s the focal color. 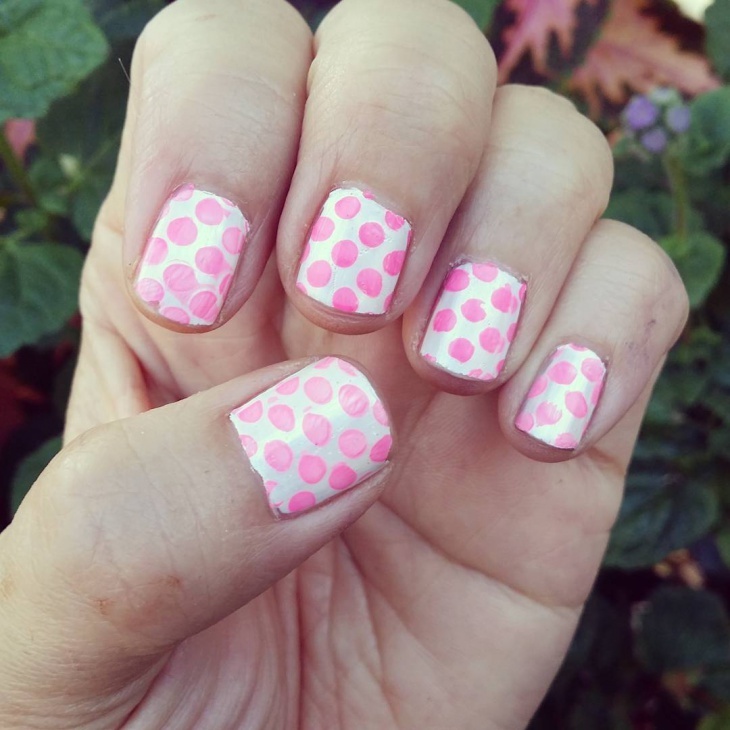 Girls who prefer short black nails can incorporate cute pink polka dots or simple cherry blossom on their nail art. 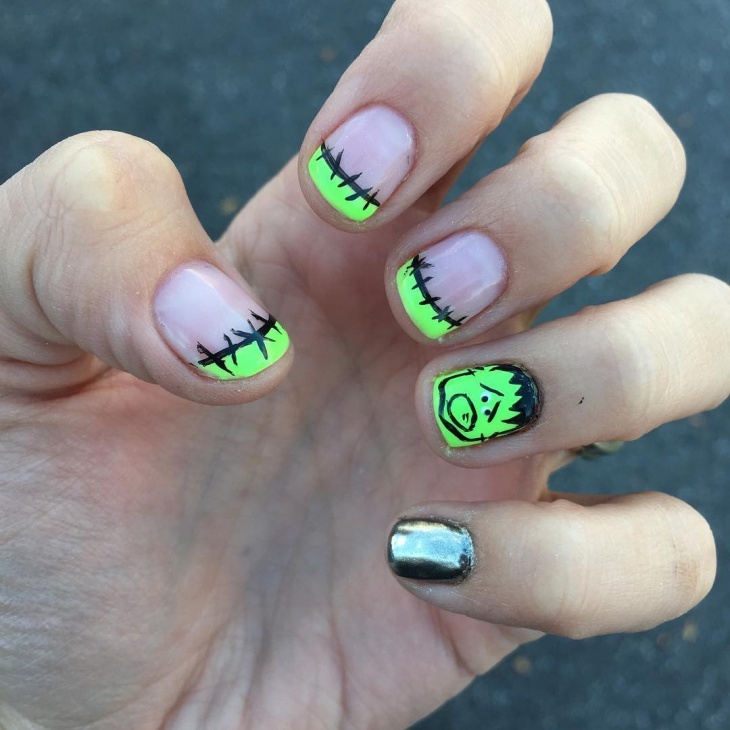 Halloween nail designs will make shorts nails have an edge. 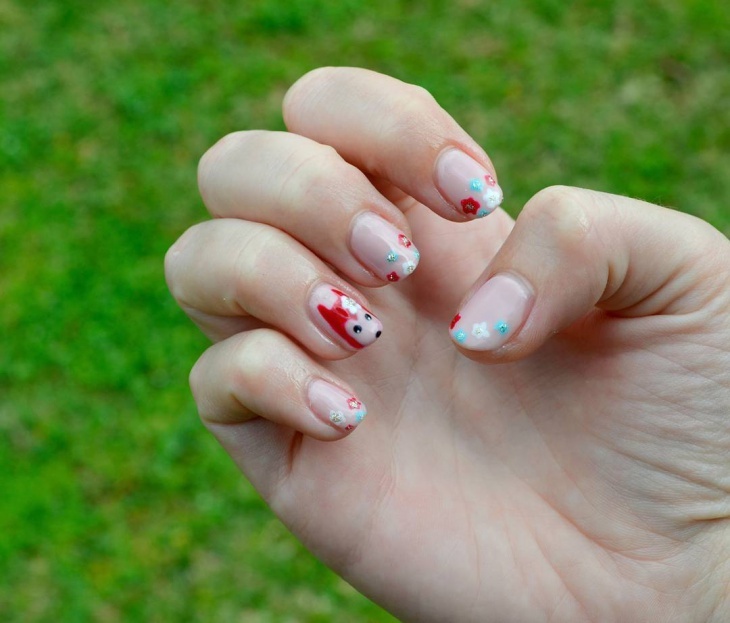 With white and black nail polish, you can quickly design ghosts on your nails or create a blood dripping effect. 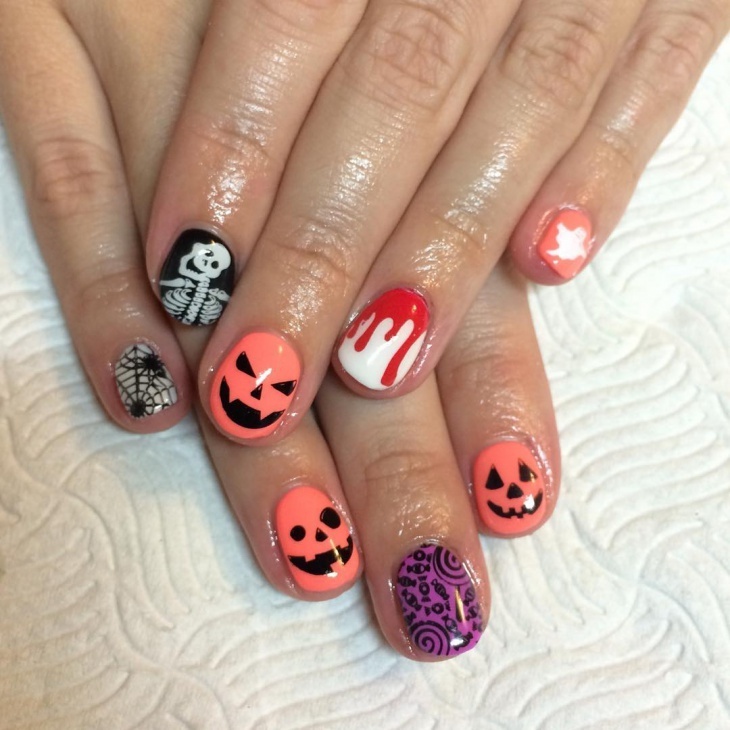 Try the claw nails where you apply a colorless nail polish and create diagonal tape designs or draw a curved pumpkin on an orange background. 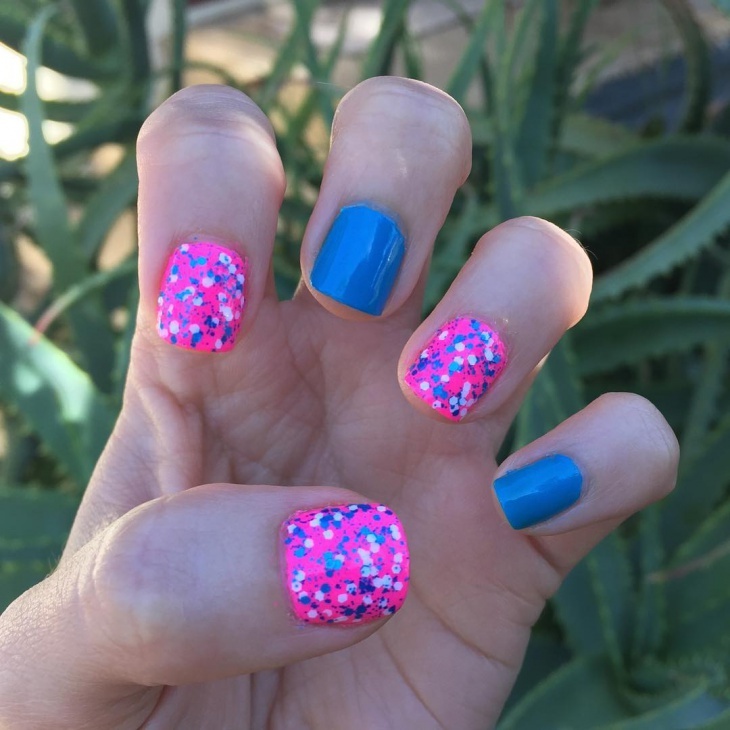 Use bold nail polish to make colorful summer nail designs on your short nails. Pink, light blue, neon and red are the best colors to use for summer. 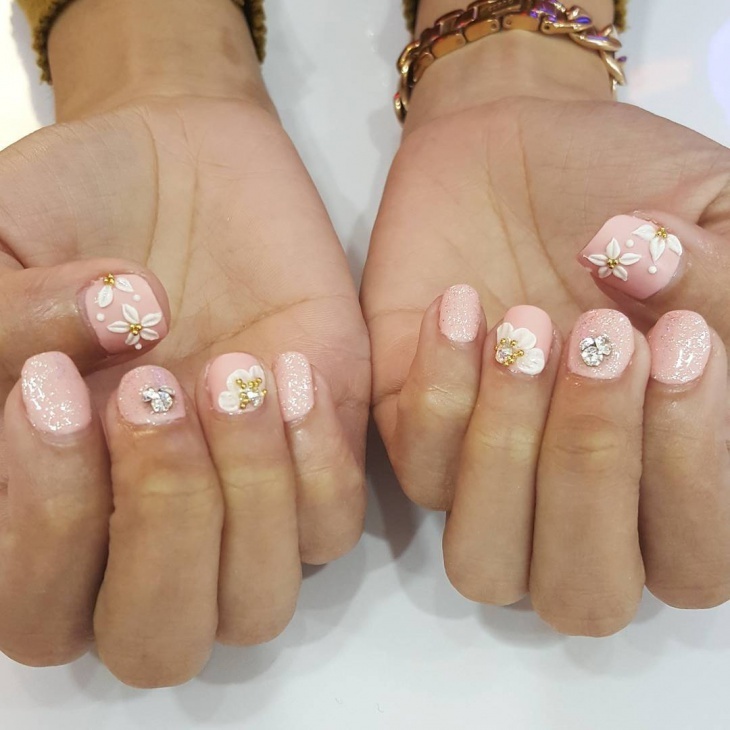 You can also go for fruity, different floral designs or add 3D embellishments to make your small nails feminine and good looking. 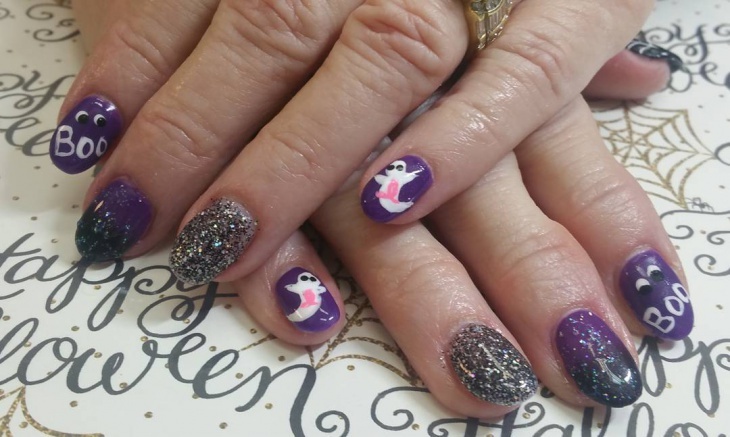 You will find many nail polishes with glitters so you are bound to get a design that will make your short nails attractive. Suitable for prom, wedding, clubbing or when going for an evening party, with glitters your nails will look dazzling. For a subtle look, go for glitter French tips. Black nail polish complements both casual and formal outfits. 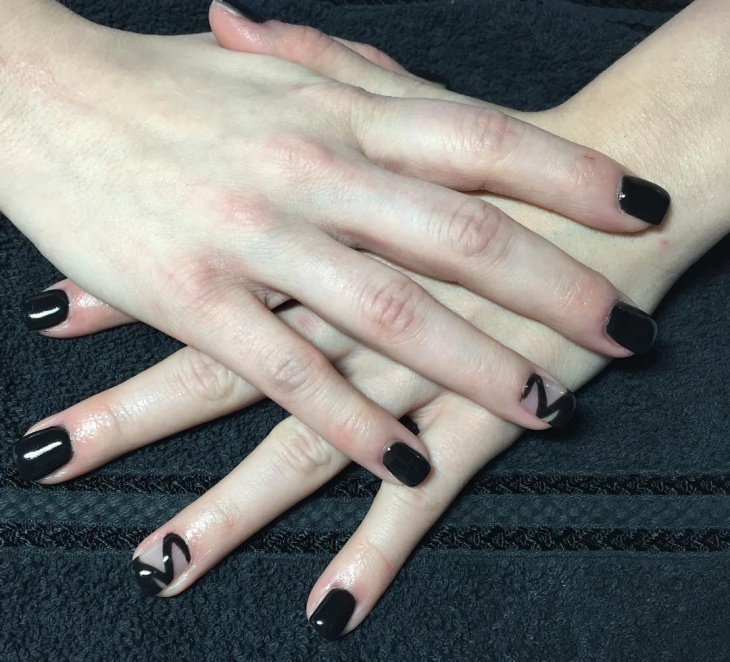 Black nail designs on short nails are popular with teenage girls who love to mix and match with different nail polish colors. Black complements all colors but tends to scream with silver, white and pink. 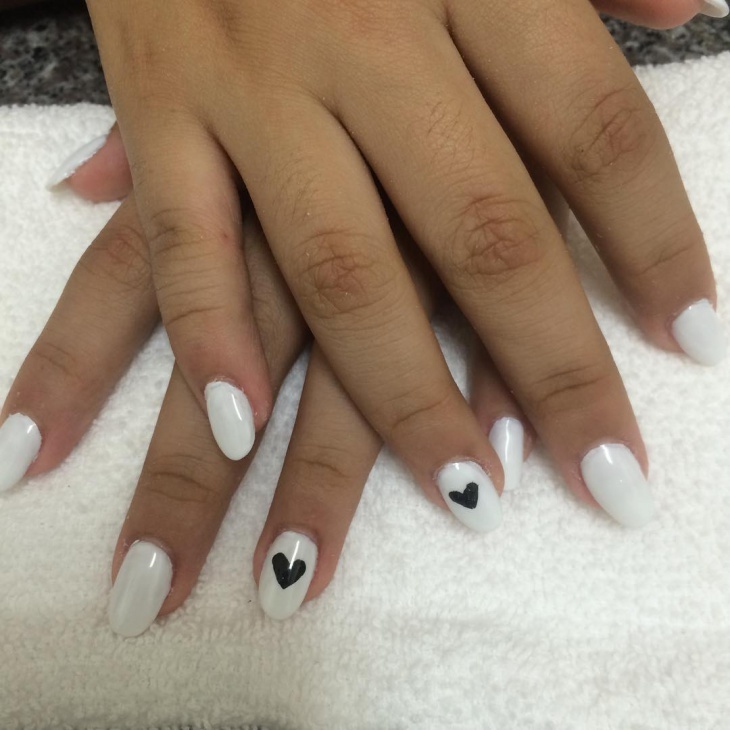 Add simple black heart shapes on your short natural nails. 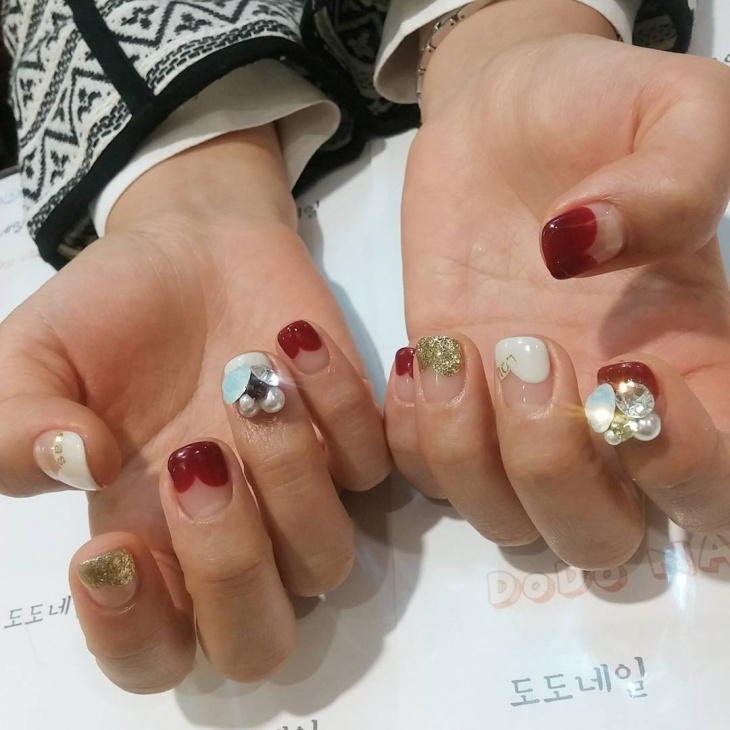 Whether on natural or short artificial nails, 3D nail designs reflects a creative character. 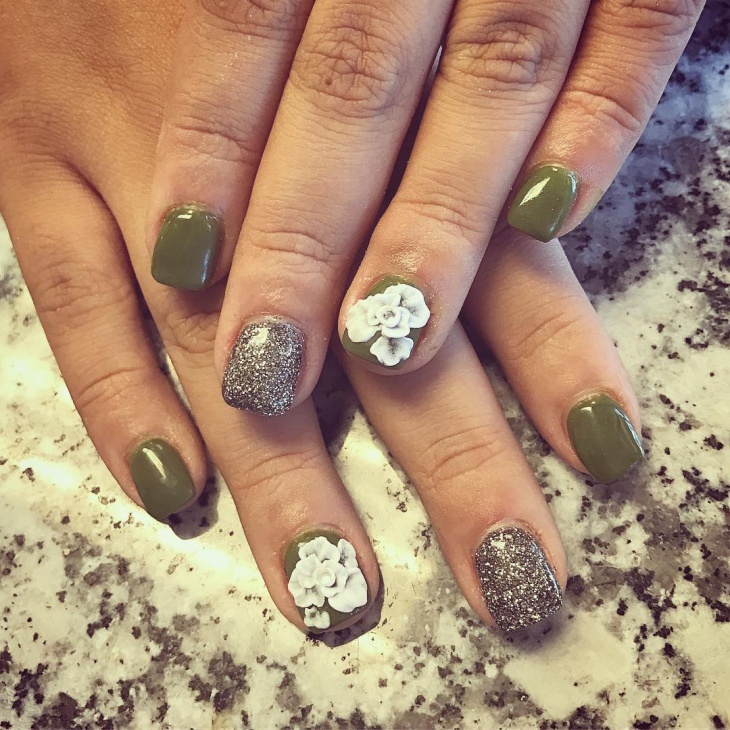 You can add 3D flowers, rhinestones, stickers, bows or fruits on your short nails. 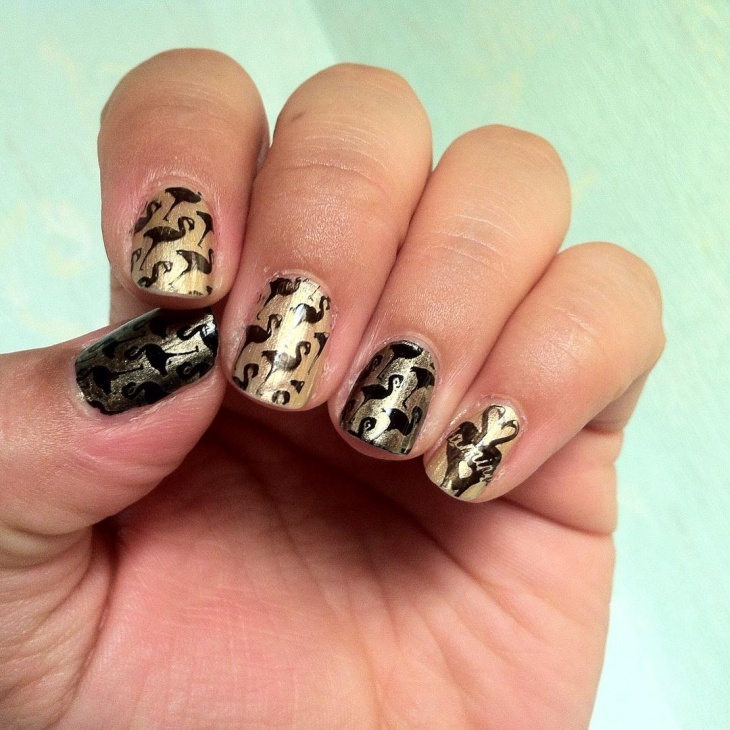 However, the nail decorations should be in a small size to avoid overwhelming short nails. You can also do sparkly ombre nail art with rhinestone. 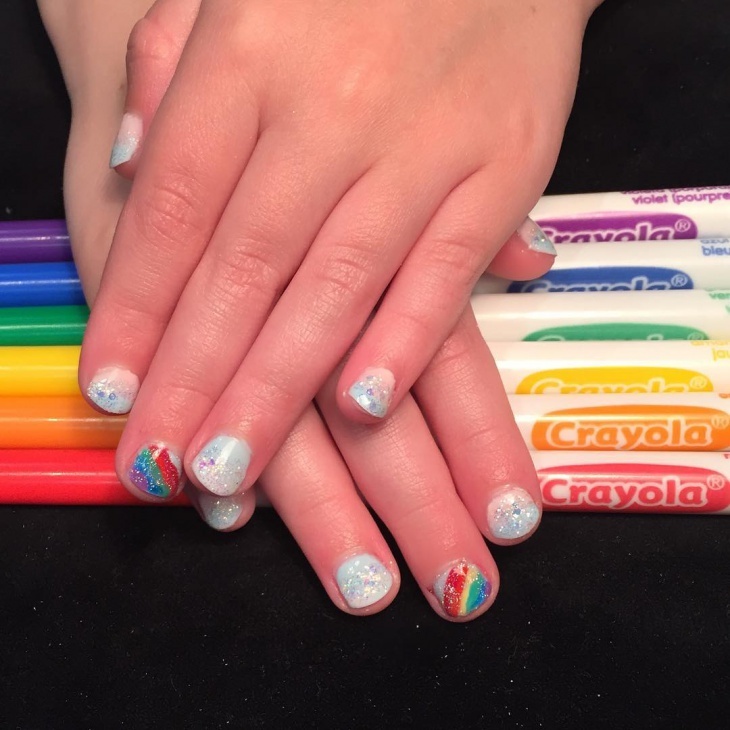 Rainbow short nail designs have different meanings to everyone. It can portray a fun mood or a particular stage in life; either way they add color to a simple outfit. For a flirty image, go for a rainbow polka dot where you use lighter shades of the colors against a white nail polish. Even though our toes are inside the shoes most of the time, it is important to keep them clean and beautiful. Go for colors that complement the shoes you are wearing. If you are bored of using one nail polish color on your toes, then go for a rainbow nail art. 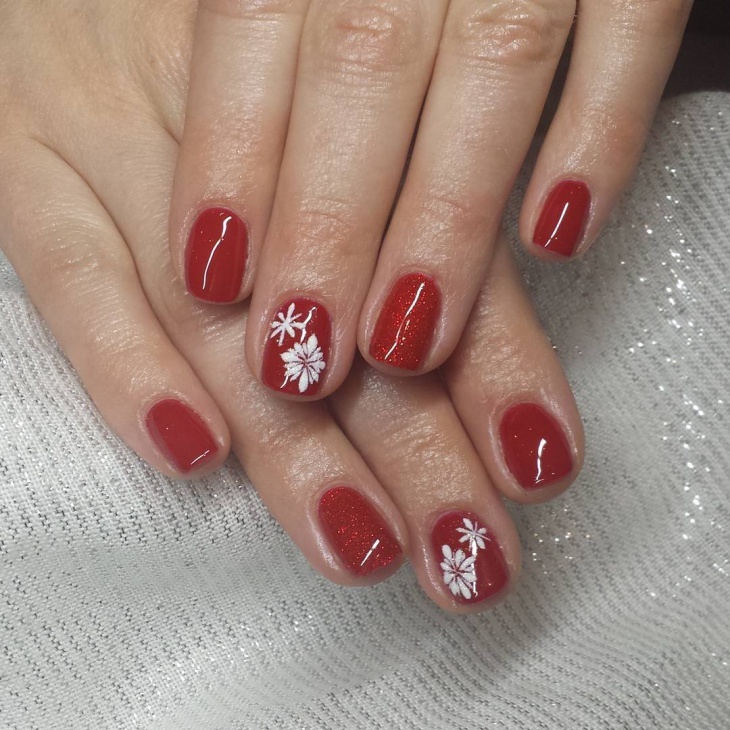 Whether red and white or a snowflake theme, Christmas nail designs will look stunning on short nails. 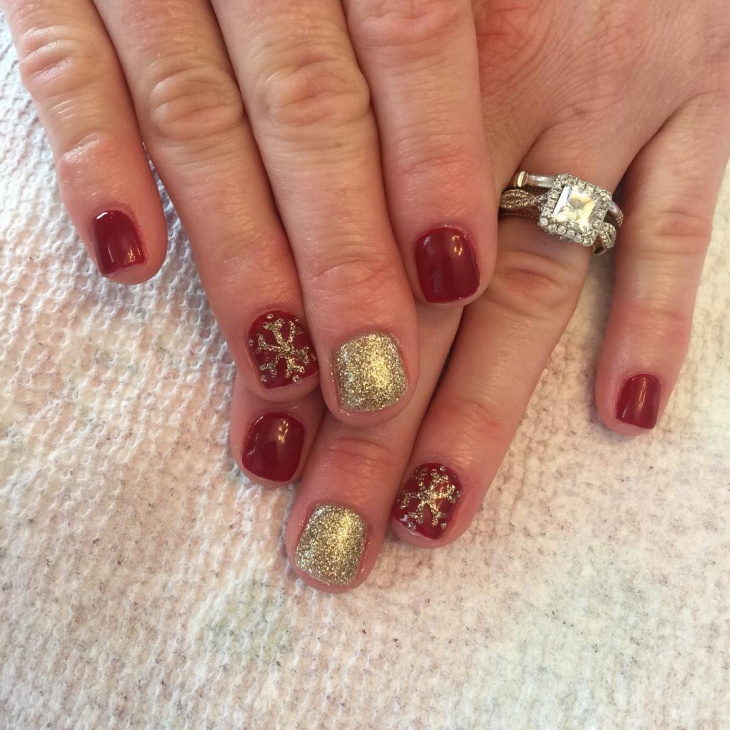 Glitters will also blend with this festive mood and draw attention towards your short nails. 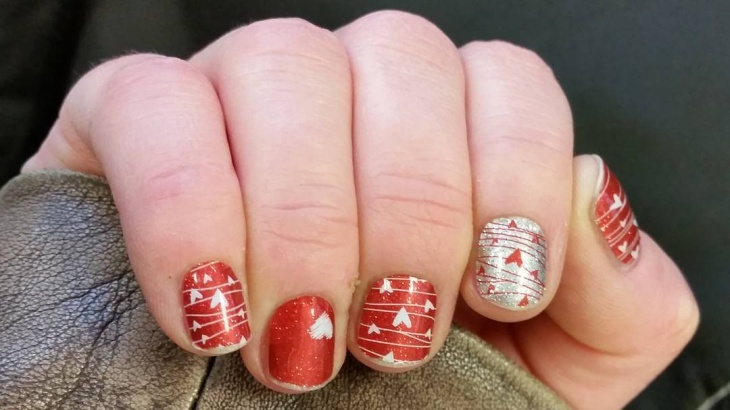 If you are feeling creative then how about drawing Santa Clause face on a few of your nails and keep the rest simple. 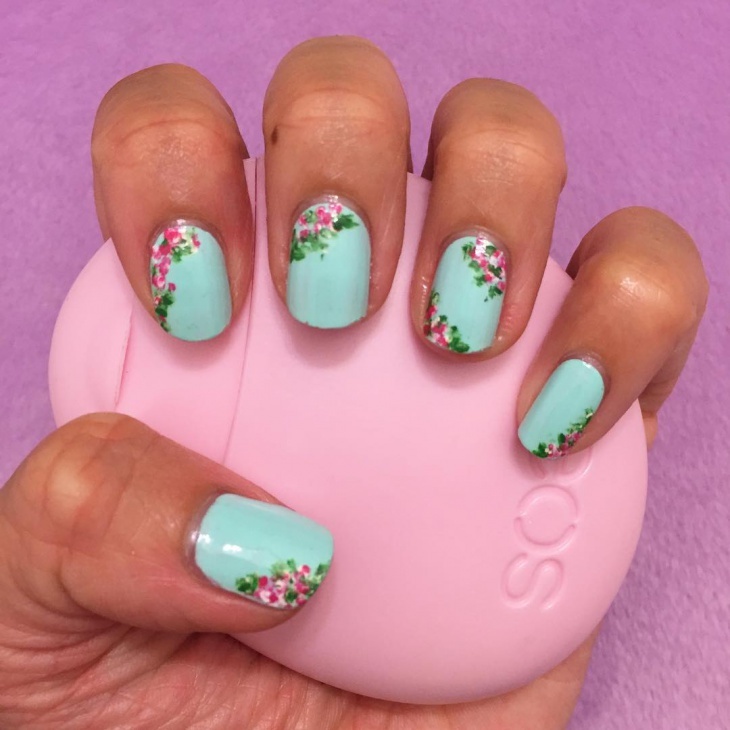 Floral nail designs are fun and plays and blends well with different nail polish base colors. 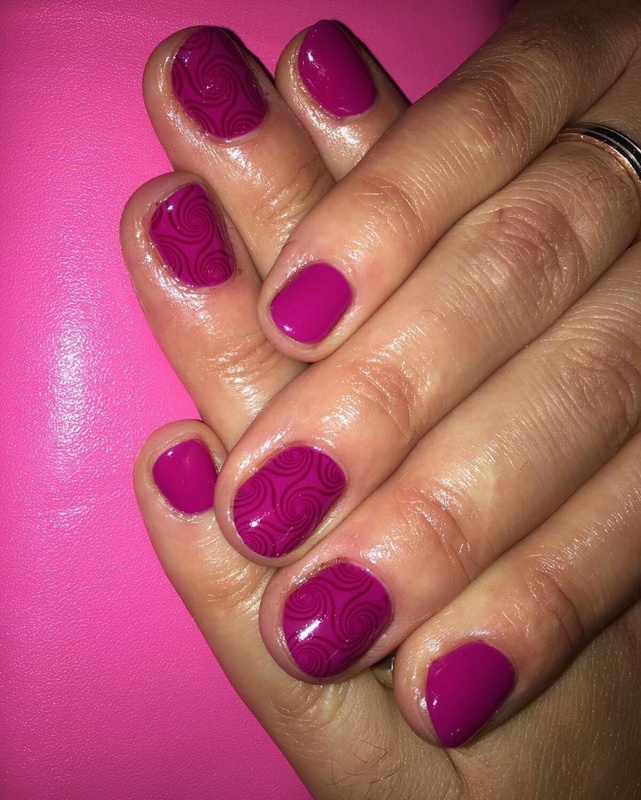 Short nail designs with a floral pattern use small flowers either on the whole nail or a corner. 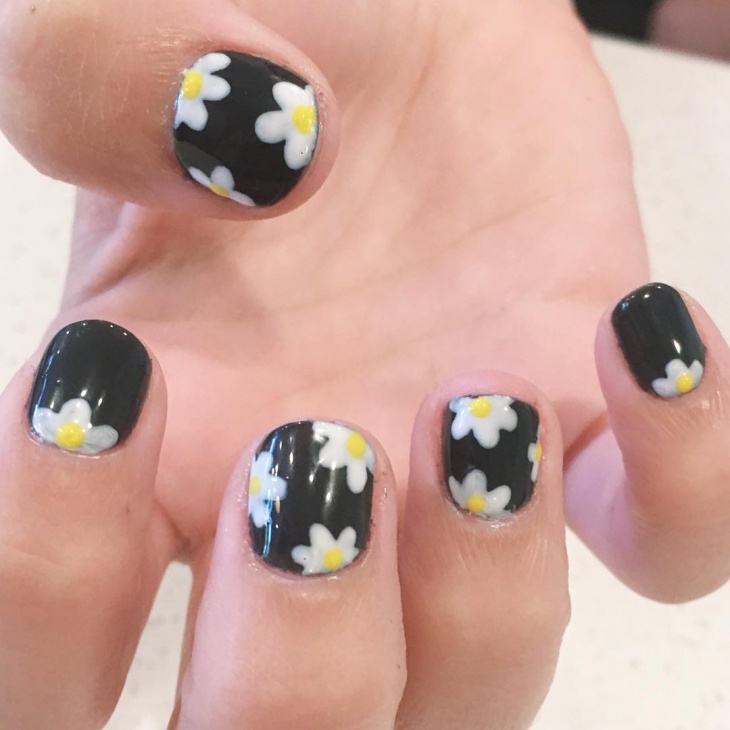 Daisy, rose, sunflower and lilies are the popular flowers you can draw on your short nails. For a daisy pattern use white and yellow nail polish against an orange base. 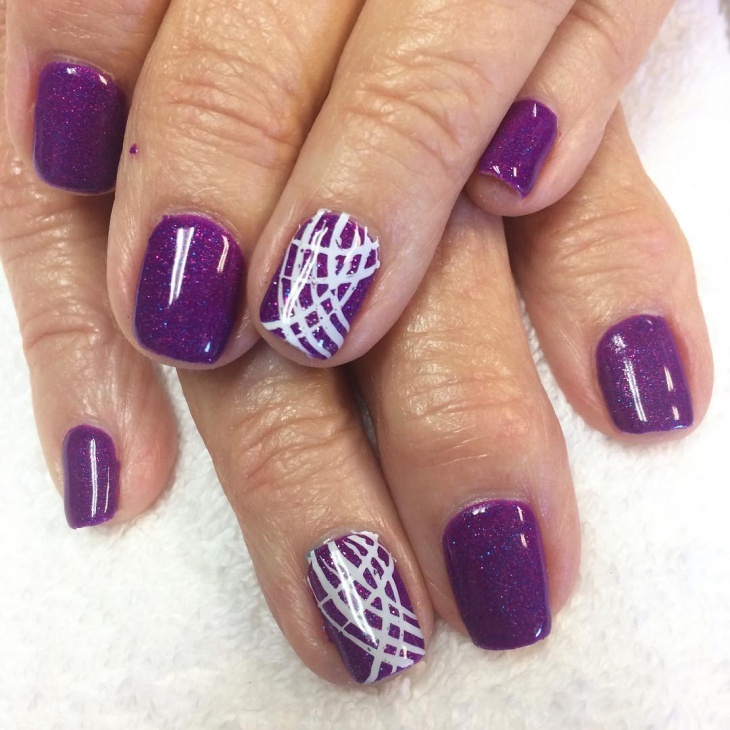 Gorgeous purple short nail designs are pleasing to the eyes as well as alluring. Lighter shades of purple nail art are perfect for summer while darker shades suit winter. To give dark purple, a shimmering effect then adds glitters or rhinestones in diamond shapes. 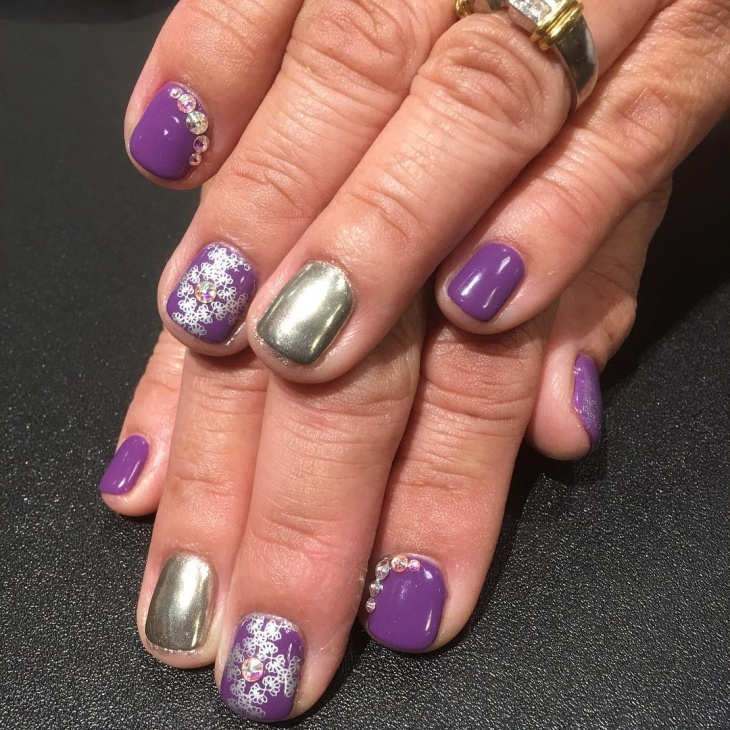 Purple floral nail art will also look awesome on short nails. 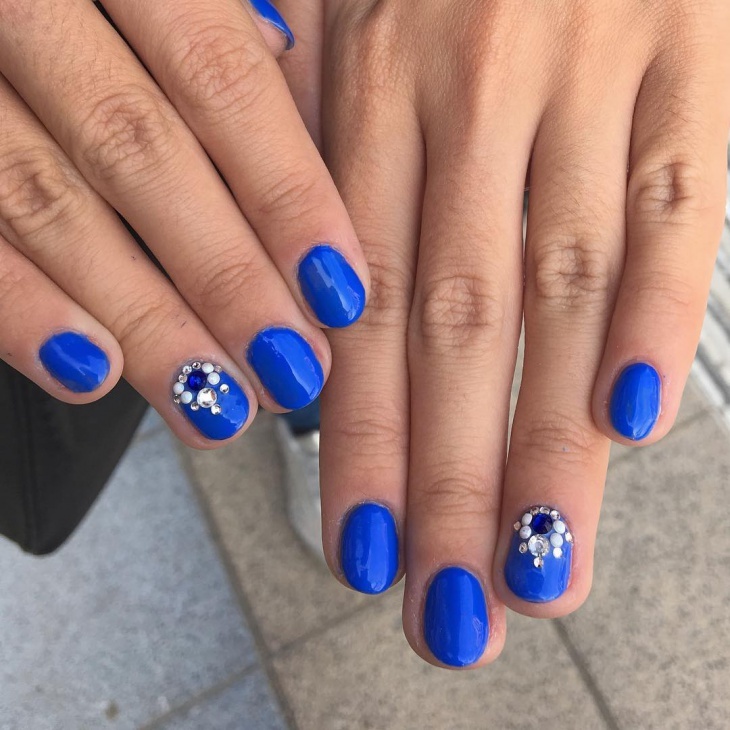 If you are going to a party or visiting your in-laws, then go for blue nail art which symbolizes trust, confidence, peace and calmness. Adorn your nails with a clear base and add blue nail polish on your French tips to get compliments from other ladies. 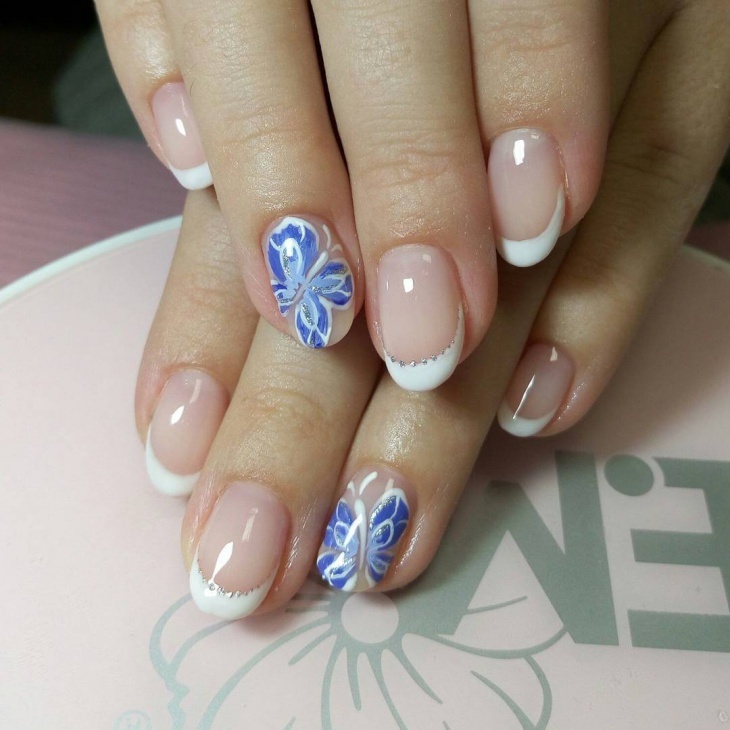 Adding 3D blue flowers will also emphasize your look. 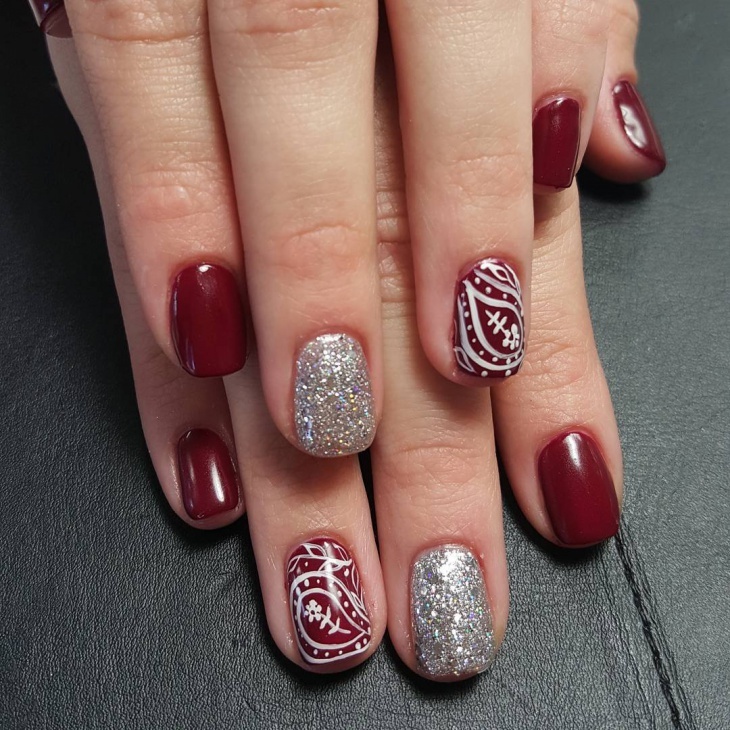 Women will always be looking for nail polish that makes them unique, and Red is one of those colors that enhance the beauty of your nails. Shaping your nails will also help to accentuate the red color on your short nails. You can also try to incorporate red into a tribal nail art. 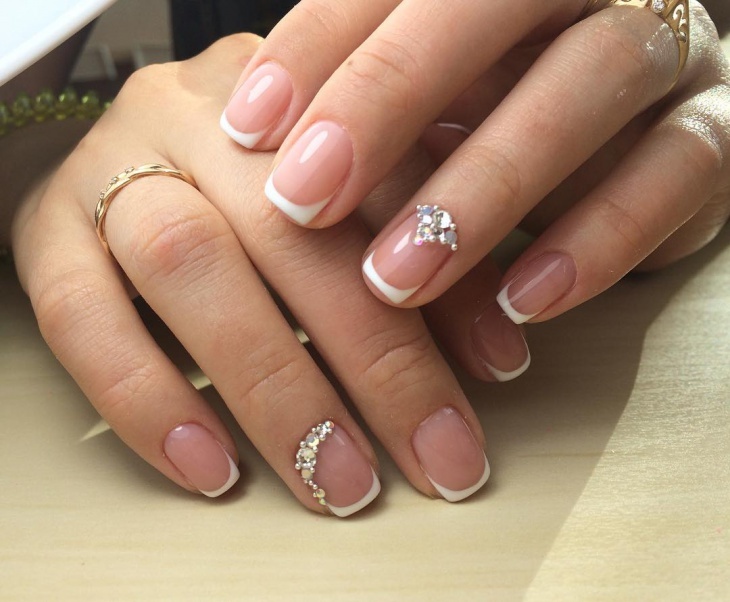 When it comes to weddings, brides should go for short nail designs that match with their gown. Glitters or 3D pearls will add a touch of sparkle to a wedding with a traditional theme. 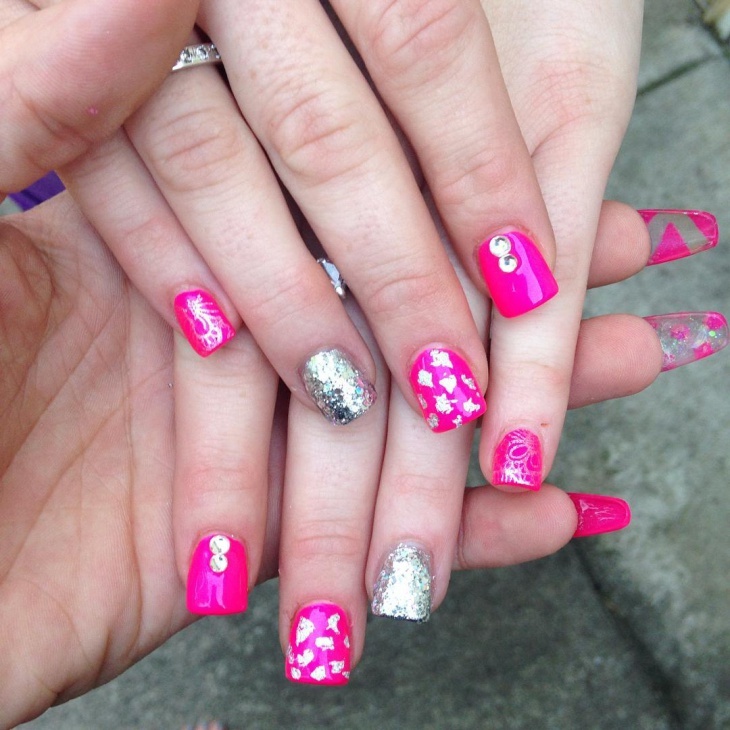 For a pop of color go for light pink, silver French manicure or red heart patterns. 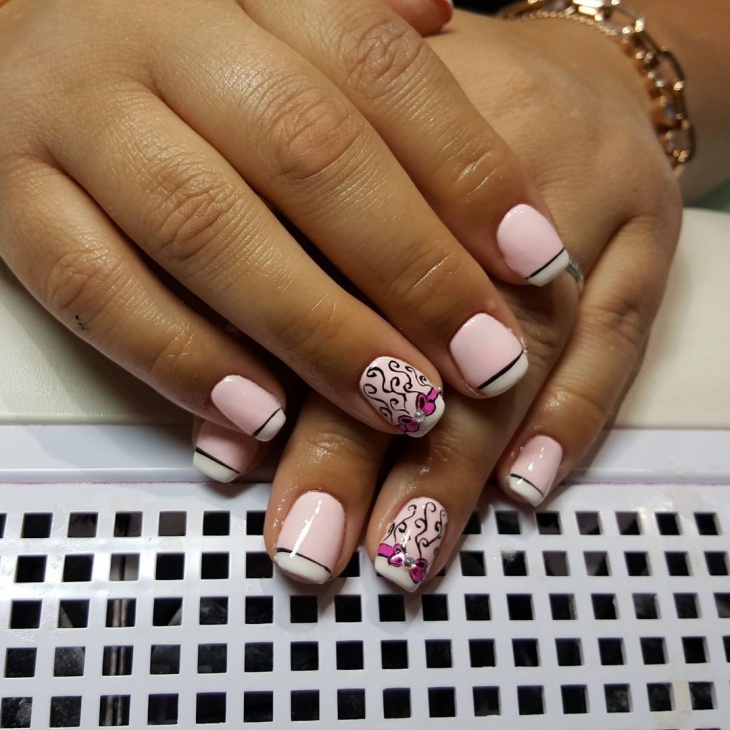 Short nails are comfortable hence the designs that you choose should make your fingers feminine and attractive. 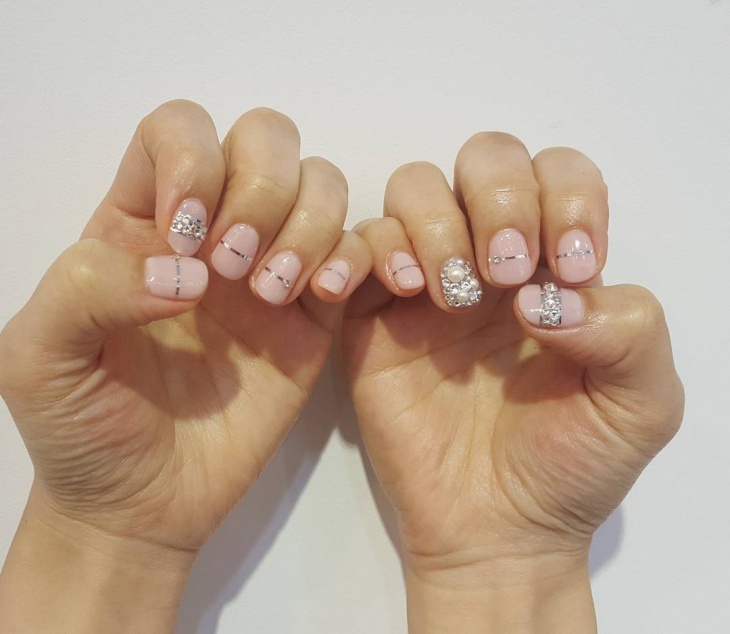 When it comes to adding 3D embellishments, go for those in small sizes and file your nails before applying any nail design. Rainbow themes are the easiest and fun to do. 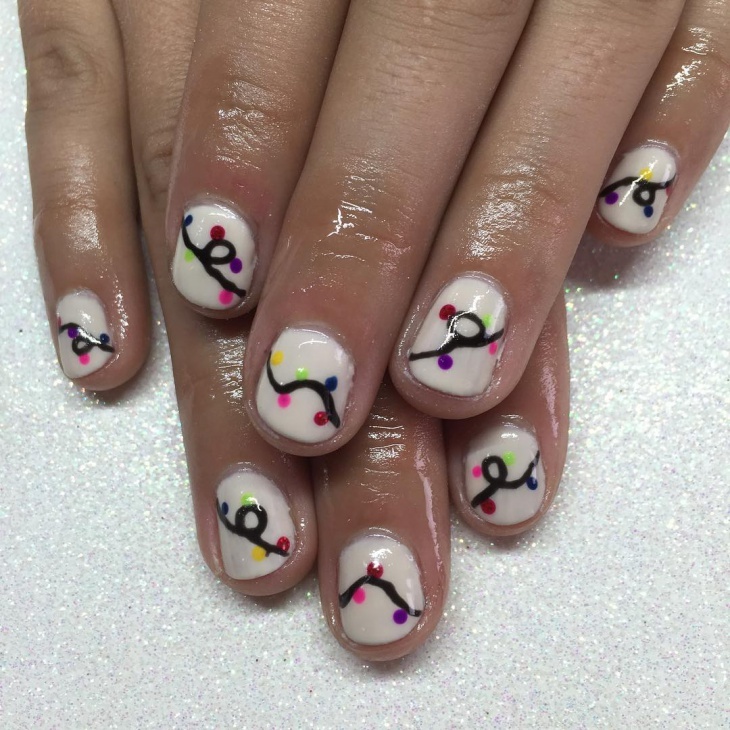 Start with a white base then randomly draw heart shapes in rainbow colors on the entire nail. After the design is dry, add a clear top coat. 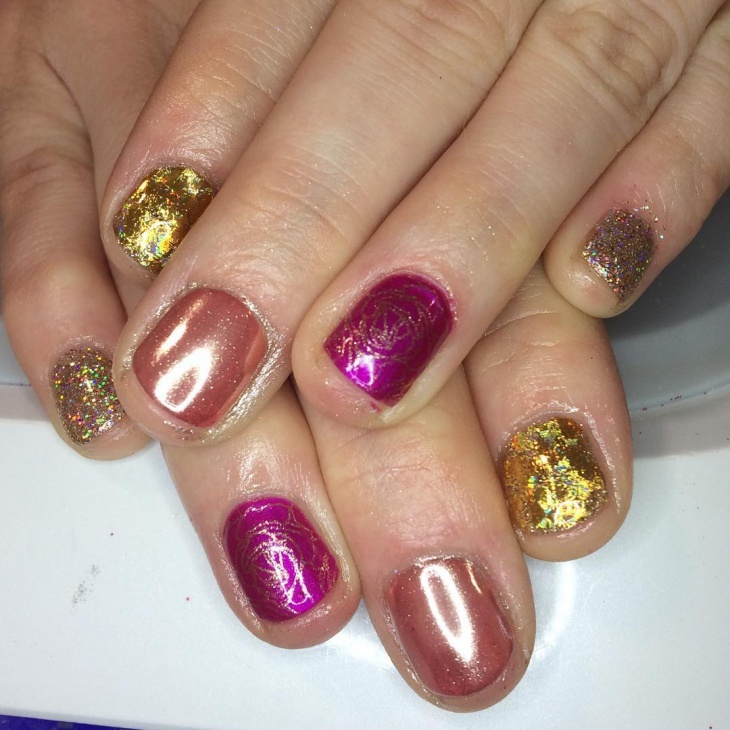 There are many different ways to add glamor to short nails. 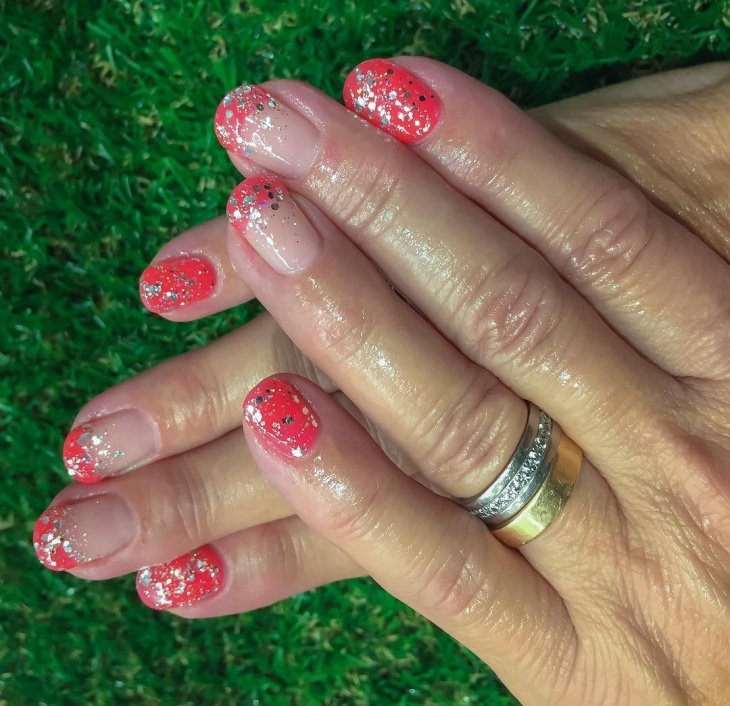 Adding glitters or bling decorations will make your nails elegant while small floral patterns add a touch of femininity. 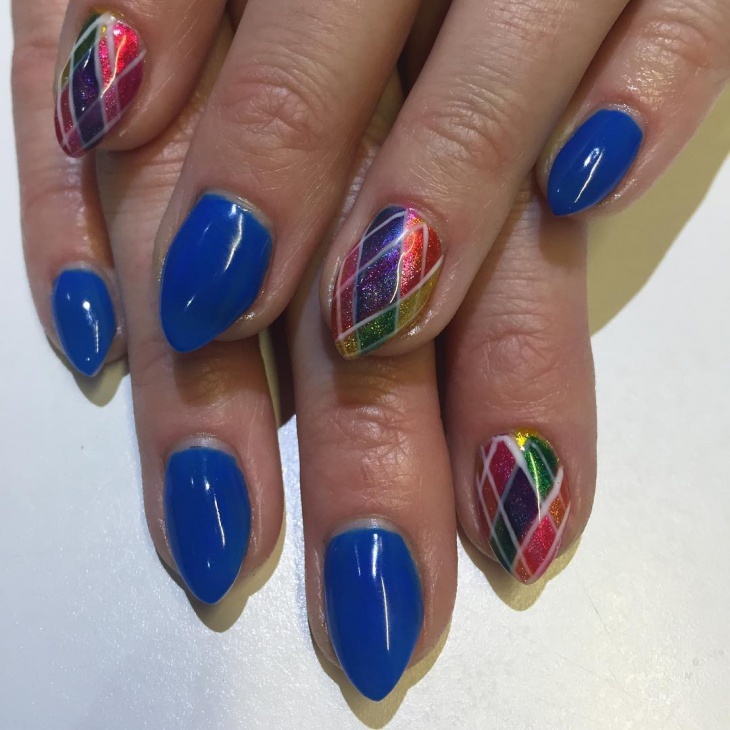 Short nail designs with animal prints, rainbow, purple and blue shades are for ladies with a bold personality while French tips are subtle.